There is no doubting the beauty of the Qur’an, and close examination of the Messages contained in each verse one will begin to see and understand why its beauty is unmatched. The first part of the verse is clear, i.e. ‘Praise be to Allah, Who hath sent to His servant the Book’. As we all know Allah is The One Who revealed the Glorious Qur’an to His slave, Prophet Muhammad [ﷺ]. When the latter part of the verse is studied, i.e. “and hath allowed in it no Crookedness”. ‘La hu’ can mean “he” or “it”. 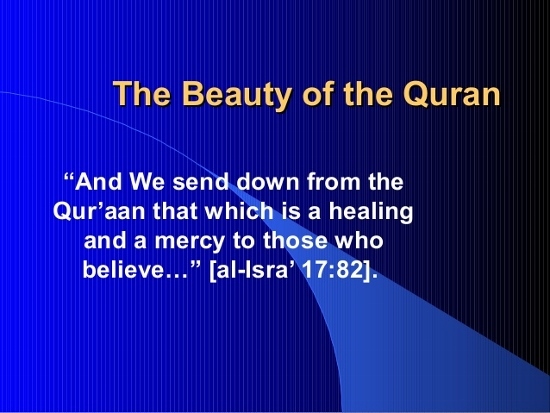 It is commonly translated to mean the Holy Qur’an; i.e. “it”. So if we take the meaning to mean it, the that part of the verse will mean that Allah has sent down the Qur’an and it contains no crookedness, defects, etc. ‘Lahu’ in the above verse can also refer to Prophet Muhammad. So if we read the and translate that “hu” to mean the Messenger, it will read like this: Praise be to Allah Who hath sent to His Servant the Book; and you will not find in “him” any crookedness. How will you know what or who Allah is referring to? Remember ‘the Qur’an explains itself’ so the other places in the Qur’an aid in your understanding. This is why no one is authorised to explain the Qur’an. If you want take the word Lahu to mean the Prophet we can find support for this in the following verses; e.g. Look at this one word when expounded upon has so many dimensions. It is important to understand the flawlessness of the Qur’an; and just as Allah produced a Book free from all kinds of defects; and the Messenger who brought the Book is also free from every form of defects, we too need to make our book, that we are producing (i.e. our book of deeds) pure and as free from as much defects as possible. When a person requires a character certificate he needs to go to someone in authority such as a police officer. And in order for the policeman to produce the certificate he will go through the records to see whether there were any ‘defects or crookedness’ in the person’s life. So too, on the Day of Judgment; in order to get into Paradise your book will be brought forward to see whether you have defects or good in it. The Prophet is our leader and exemplar and he was sinless which means that his book will contain no wrong or reprehensive deeds. We must also aspire to purify our personalities so that on that Day our book will be one that we can feel proud of as a book free from records of crookedness will grant us access to the Garden of bliss. May Allah enable us to understand more and more of His Glorious Words and may He grant us the ability to cultivate our personalities in accordance with what is permissible, so that our book of deeds will be one that contains no crookedness nor defects. 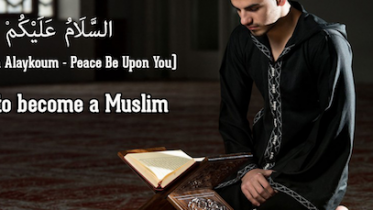 Be the first to comment on "The Beauty of the Qur’an"